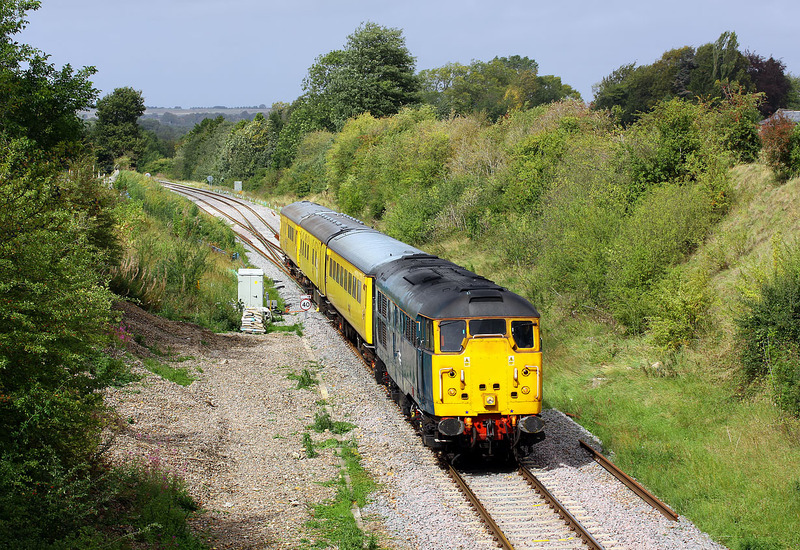 In a very lucky few minutes worth of sunshine, 31106 leaves the recently reinstated section of Cotswold Line double track near Charlbury on 12 September 2011, as it heads slowly towards Oxford with the 3Z13 08:23 Derby RTC to Bristol Kingsland Road test train. This is my first picture of the new junction, and it is slightly ironic that the first picture should be something as out of the ordinary as this! Note how 31106 has a slightly lopsided appearance, due to having a much thicker window surround on the right hand window.